Launched in summer 2011 in Seattle, Washington, Upaya Social Ventures‘ founders bring 18 combined years of research in ultrapoverty and work on 4 continents, and a deep desire to effect long-term change for the 1.4 billion people in the world living on less than $1.25 day. 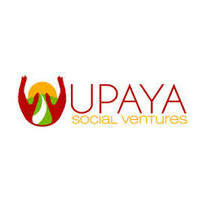 Upaya offers a 24-36 month social business accelerator program for early-stage, ultra poor-focused social enterprises. They combine hands-on technical advisory with tailored patient capital to build high potential businesses that benefit and employ the poorest and most marginalized people. Upaya has 5 local partners in India and has expanded to employ almost 1,200 men and women. Mission Statement: Upaya is building the businesses that will create jobs and improve the quality of life for the ultra poor. Mission Grant. Catalyst Grant. Having worked with Upaya’s founders and board advisors through our former connection via Unitus, we remained in contact to continue cultivating great working relationships with trusted colleagues, then and now. When they launched Upaya, the founders called us for advice and pro-bono communications services. Working closely with Upaya as they launched, we saw firsthand that they walk their talk of “triple Ts”: tenacity, transparency, and trust. Convinced of the impact they could have through training locally-led businesses and providing reliable employment for the ultra poor, and of their sound financial and social plan, we have continuously been supporting Upaya since 2011. Our grants have been directed toward establishing several jobs-creation partnerships throughout India, helping to employ the ultra poor. Read stories about Upaya below.